GripOns™ significantly improves traction on ice and snow. 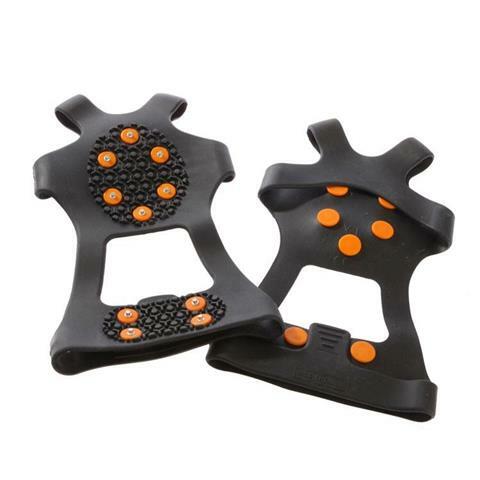 High quality steel studs under the ball and heel of your foot provide excellent SLIP and FALL protection on slick surfaces. GripOns™ stretch to fit easily over any type of shoe or boot (buy one size larger for thick sole boot). Flexible and compact for easy carrying and storage. GripOns™ are not for technical climbing. I use these any time I have to walk outside in icy or snow conditions.